Edna Kate Bittlingmeier was born on June 16, 1907. She was the daughter of William A. Bittlingmeier (1885-1969) and Anna Bauer (1888-1963). As far as I know, Edna never married. 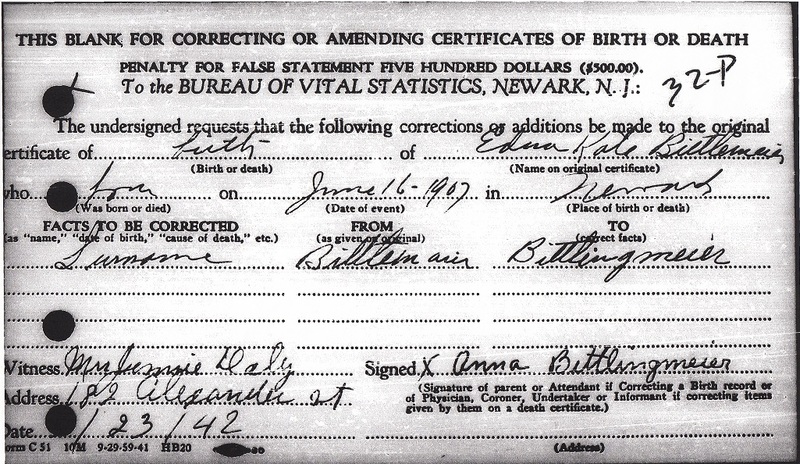 In 1942, Edna had her birth certificate amended to correct the spelling of her surname from Bittlemaier to Bittlingmeier. 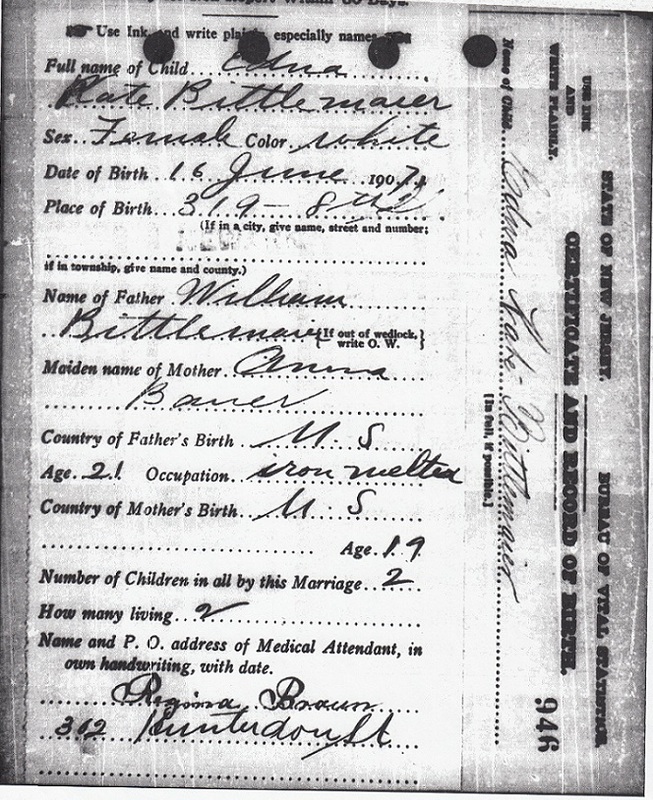 The amended document was signed by her mother, Anna Bittlingmeier.